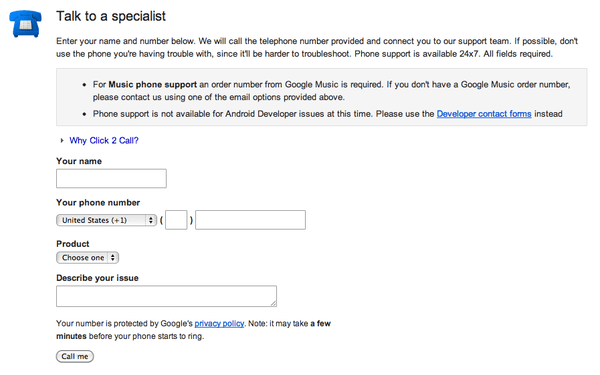 Customer service has arrived at Google Play! No, this is not an April Fools post. Folks in Australia, Canada, the UK and the U.S. can now communicate with a Google Play representative 24 hours a day, 7 days a week! "WHAT?!" YES. There are actual literal humans at Google and they want to to talk to you! This is a radical departure from Google Play's previous customer service options (ie, they didn't really have any) and a huge step in the right direction for Google. In the past, if you were having issues with Google Play, you'd have to complain about it in a forum or hound the company with endless e-mails before receiving a response. 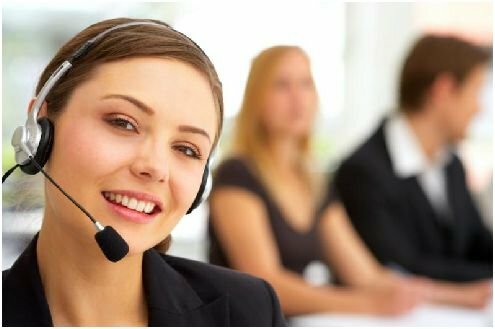 According to folks who've used the service, the customer care representative usually calls back within 10 minutes of filling out the form, and is a REAL HUMAN. Not a machine. Amazing, no? I cannot believe Google now provides real customer service. Seriously: pinch me. Sounds like Google is finally listening to some of the complaints about the android market. This is a huge step in the right direction. Well, I couldn't find the link to the new customer service form, but if I give my number to the lovely customer care representative in the picture above, she'll call me back in 10 minutes, right?